A must-read books for men to overcome breakup - Breakup books for men! A must-read books for men to overcome breakup – 14 best breakup books for men! Reading is a habit which every individual should imbibe in themselves. A book makes you wiser and stronger as goes the famous saying. A book changes the perspective around us. There are millions of books around which connects us to a different world. There are books to overcome every situation falling in a different genre altogether. Here we are going to discuss and list the best books to read to get over a breakup for men. Self-help books have been termed as a category in the books department today. With the growing intensity of work pressure and life tantrums, these self-help books have emerged victorious in conquering the devil within. These books have helped in dealing with stressful situations at work and even relationships. All relationship go through a bit high and low, however, some of them go through a lot with the passage of time. There are failed marriages as well as happy live-in relationships. But, the differences between two individuals bring in the need for self-help books. For some of us, its been a merry ride living a worthy life with our partner, whereas for some its been a hell of a ride with the relationship tantrums. Some relationships in our lives tend to leave us giving sorrow and grievances than love and pleasure. Break-up is one such life situation which leads to depression for most of the individuals. Everyone has their own version for tackling a crisis situation as a break-up. During a break-up, an individual goes through an emotional crisis, feeling betrayed and hurt by their own loved one. There are break-up stories that are heart-wrenching and some stories which bring in laughter riot. With the medium of this article, we would highlight the books to read to get over a breakup for men. Yes, today we will shun the society’s mentality and focus on the men’s world. Leaving feminism behind, it is time to focus on the men who suffer from heartbreaks and still what keeps them going in these stressful situations. Gender inequality has been intruding in every scenario today. Statements and stories have been revolving around in the print media about men getting over from a breakup faster than a woman. Everyone, irrespective of their gender take their own time in dealing with every situation, be it heartbreak or a failure at the workplace. Men tend to show that they can handle a situation better than a woman. However, men become fairly self-destructive with breakup situations. People engage in this behavior when they are unable to handle the trauma of being rejected by someone for loving so long and hard. In our society, women have been taught to be comfortable with their emotions. Yes, she can cry whenever and wherever she wants. On the other hand, there is a lot of pressure on a man in our society. He is taught to handle his emotions, with a strong heart, and man up in situations like heartbreaks. A man is expected to retain his independence, always appearing strong, working in control and never asking for help in any case. Due to the masculine characters, a man has to deal with the emotional pressure all by himself, because of which self-destructive behavior comes into play. However, there are self-help books for men to overcome breakup which helps in retaining their masculinity and handle themselves at the same time. With the drama and conjecture about the men in society and masculine behavior, stressful situations have become far more than difficult to be handled by men. Breakup brings in sorrow and disinterest in the things happening around us. The situation remains the same for everyone out there, irrespective of their gender. Men get over breakups differently than women, but certainly not faster. Both sexes experience the same degree of grief, anger, hurt, or whatever emotion the breakup has caused. Men, however, will often go to great lengths to mask these feelings, in an attempt to seem more (stereotypically) masculine, while women generally like to share their raw emotions with friends and family, and often take significant time off from dating in order to heal. Men often indulge in excessive drinking and smoking, even some of them engage in narcotic drugs as a part of self-destructive after their breakup. It has also been witnessed that most of the men join gym membership in order to release out their anger and stress after the breakup phase. Some of them engage in random dating and sexual interactions with other women to vent out their anger. In the course of these interactions, they tend to be rude and hurtful to the woman they date. However, unknowingly to soothe themselves, they go ahead and hurt others in the meanwhile. Most of the men often distant themselves from the society, from friends and even from family. They encage themselves in a cocoon shell and fail to come out of that for a long period. Men also suffer from trauma at work while going through a breakup phase in their life. Some of them bounce back in order to prove themselves and others just remain a victim of the situation taking a bit longer to sail out of the situation. To overcome these situations, there are books to read after a breakup for men which have served beneficial. They say books are a man’s best friend. Yet, why not if there are situations where denial is a concern then why not break up. 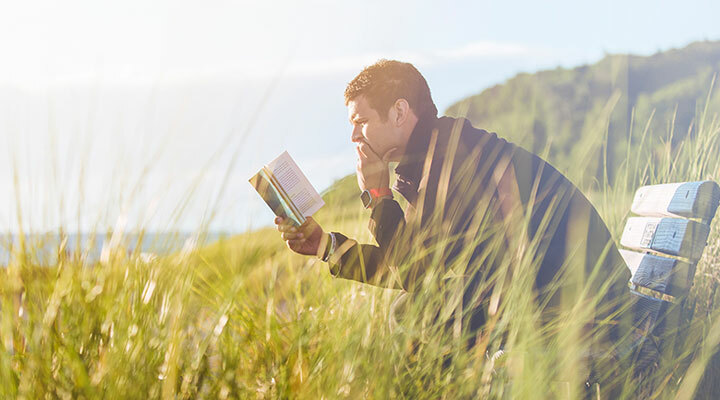 These best-selling books are the gateway for men who have been heartbroken and betrayed in love. We have recommendations listed as the best breakup books for men out here. The book is written by Andrew Ferebee, describing about break-ups and how it leaves more than a part of the other person with you. Break-ups are miserable and this manual is a guide with a 2-part process involved in overcoming a break-up situation. The author has mentioned aptly in the book stating that closures don’t happen overnight, where he has elaborately provided a 25-step layout for the men out there dealing with heart breaks and depression after their partner left. The book is a wonderful world of philosophy, falling under the category of highly recommended books to read to get over breakup for men. The book is one of the best-selling books in the market for self-help. It has been rated as one of the best books for dealing with life problems such as career, relationships, and money. The book never fails to disappoint its readers. There are chapters focused on relationships and it is one of the books to read to get over a breakup for men. There is more in closet for an individual when they start unleashing the chapters from the book. It helps an individual to bounce back in life from depression and anxiety resulting from relationships and their love lives. The book is a perfect blend of awakening and romance, authored by Dishant Huria. It is one of the simplest and delightful books recommended for guys. It is about a guy “Aarush” who transforms his miserable life on his own. Every individual has the power to change their lives and this book is one of the examples for the same. This book is authored by Mark Manson, which is one of the famous self-help books today. The book talks about relationships, life experiences and how the author dealt with those problems. The book has been a sensation after its release. However, the author connects more to the men psyche for this kind of life situations. The book is authored Cheryl Strayed, who is the fairy godmother for entire generation of readers. It has been highlighted in the book that we don’t need people who have stepped aside, they have done a favour. “Those are the uber-cool sparkle rocket mind blowers we’re after. Those are the people worthy of your love. The poetry book by Sharon Olds is one of the books for self-help. It helps in letting go of your past and find the courage to move on in life. The book is written by a lady, whose 26-year old marriage fell apart. It helps in accepting your breakup and never regretting in life. The book is authored by Stephen King, who makes our heart freeze with fear. It helps in allowing the readers to reason their actions. The story is of an eccentric woman and the way she dealt with her drunk husband. After reading the book, an individual would never consider breakup as a problem in their lives. The book is authored by Bill Bryson, where the author has written about breakup and life problems. The author highlights the interesting facts about life and love. The book helps in understanding the problems of breaking up and how a person deals with universe disasters. The book is one of the famous books recommended to overcome life problems. The Alchemist is not a breakup book, but a transformation book for individuals going through life problems. The book is authored by Paulo Coelho, it is a timeless treasure for everyone dealing with different life problems. The book is authored by J Riley, describing 7 powerful hacks to get over from a breakup. The book is one of the recommended books for men to overcome from breakups. The book is a short-read, with a page length of 118 pages. The author has explained step-wise on how we can handle a breakup and move on in life. The book is authored by Susan L. Elliott, highlighting about breakup and relationship problems. Men take longer time to overcome from break up, where comes the role of this kind of self-help books. These books help in realizing the hidden potential an individual has to deal with their problems. It is one of the oldest published books written by Karen Salmansohn. The book helps in understanding different types of emotions. It helps in overcoming rough phases of life. The book would make you readily make you feel happier about yourself. The book is authored by Neo Monefa highlighting about the problems men suffer during their breakup and rebound phases of life. Heartbreak problems are a major problem for everyone. However, handling those breakup issues and emerging victorious is the ultimate hack. This book has been authored by Brian, which a self-help book engaging describing relationships. The book is an ultimate source of wisdom and is also one of the best breakup books for men recommended. This book has helped in explaining how people get over their relationship problems. The book helps in understanding men psyche. Life brings a lot of uninvited situations, which can make a person fall or rise. It is an individual’s responsibility to understand the important of right and wrong people in life. Life is too short to waste on people who don’t acknowledge your presence. Irrespective of the gender, breakups are stressful for everyone, some of us take a bit longer to bounce back. The best breakup books for men listed above would only help a person, if they wish to bounce back and make a change for their own good.